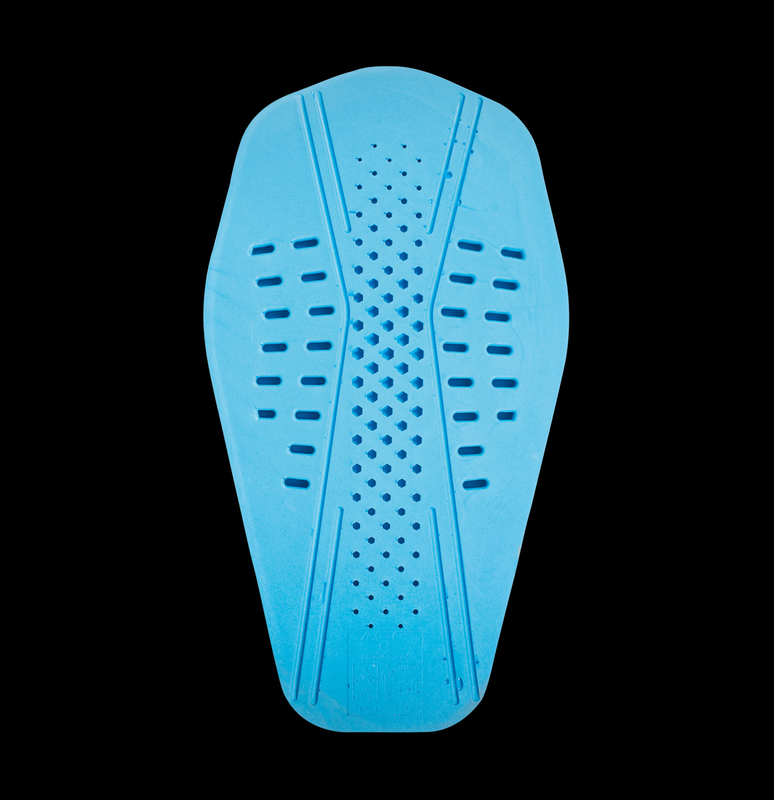 Enduro mountain bikers love simple protection that is compact, lightweight and can be quickly put on for downhill action and effortlessly slipped off and stowed away on uphills. Lycra sleeves with protective foam inserts are especially easy to use and wear but unlike robust neoprene protectors with Velcro closure they can slip easily. 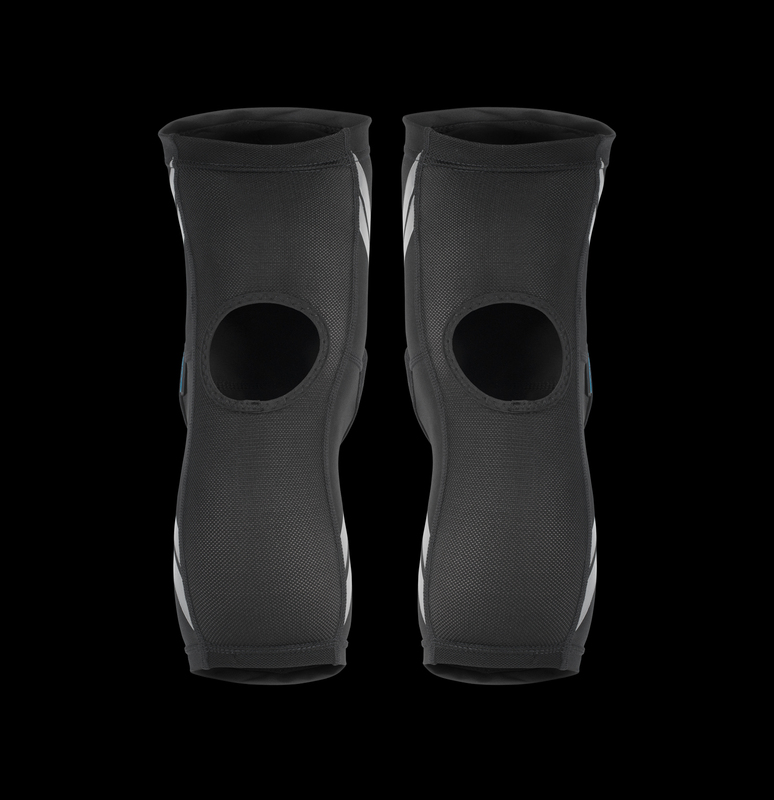 This is why we have invented the new Dermis A knee sleeve and elbow sleeve, which have Powerbands for improved stability. Strategically placed PU Powerband stripes, inspired by kinesiology tape, add strength to the lightweight material and significantly reduces movement. An anti-slip silicone print on the upper inner cuff makes the fit even more secure, while breathable mesh on the back provides superior ventilation. 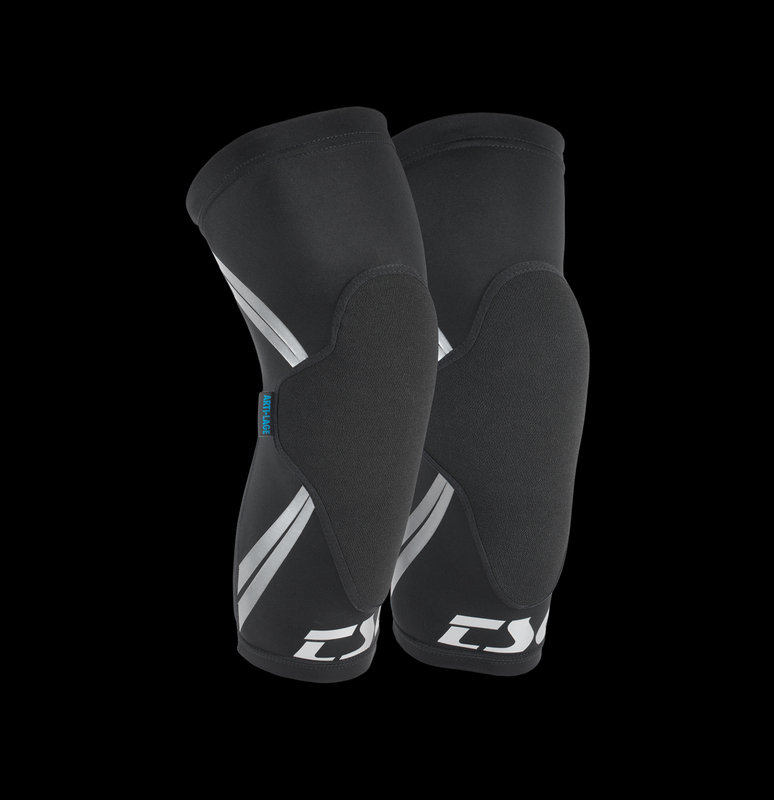 Light, ventilated and safe, The new Dermis A Knee-Sleeves are great for enduro rides. We also incorporate an ergonomic Arti-Lage softshell pad with stretch Kevlar cover. Arti-Lage strengthens when hit to absorb significantly amount impact energy and protect joints. The stretch Kevlar cover ensures easy removal and protects the foam. The Dermis A protectors are perfect for comfortable climbs and fast downhills, providing outstanding protection from scratches and knocks on and off the trails. 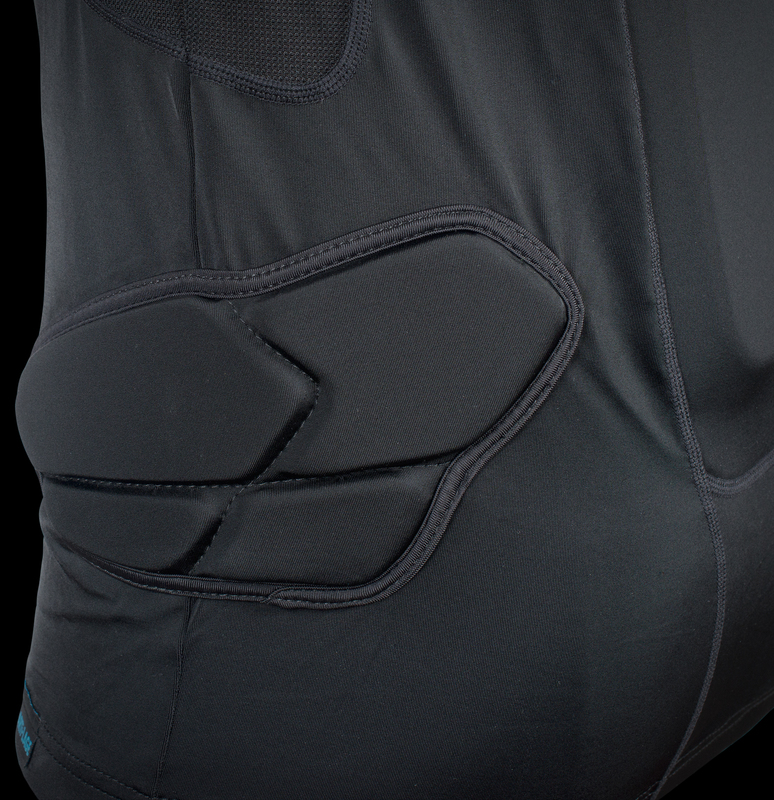 Mountain bikers who ride hard need complete torso protection. 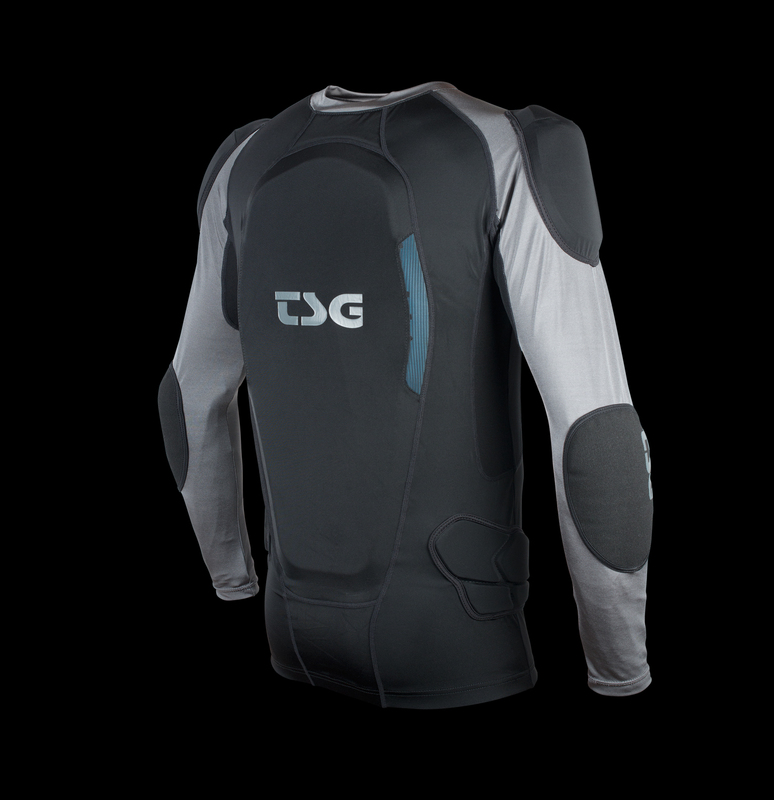 We are expanding our protective shirt range with 2 new models this spring. 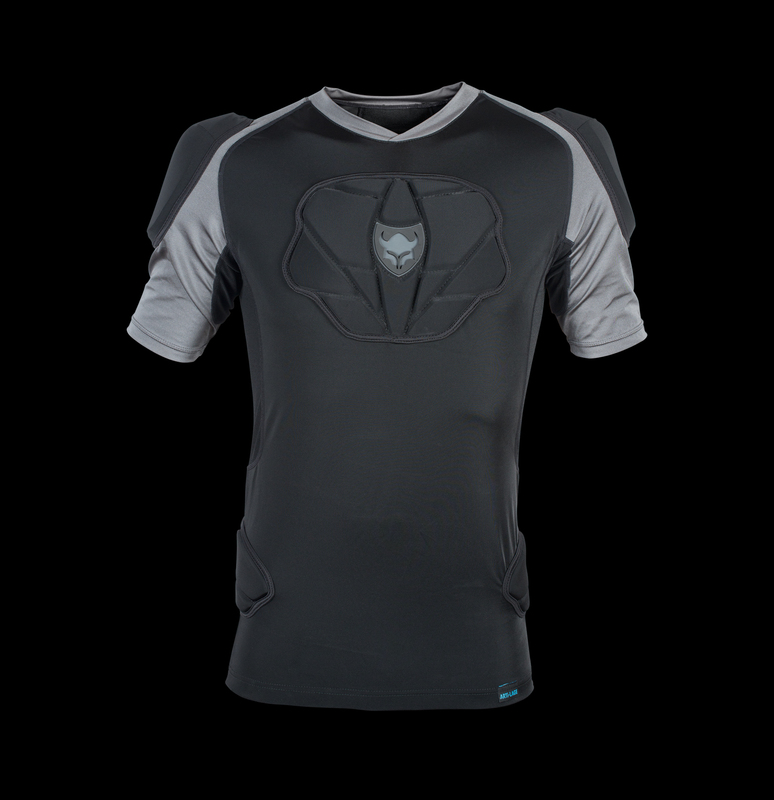 The Protective Shirt Tahoe A will be available in both short and long-sleeved versions. These fitted Lycra base layers house a removable softshell back protector made of Arti-Lage. This soft foam forms naturally to the shape of the body with heat. When hit the molecules of the foam compact, absorbing most of the shock before it reaches the rider. Pre-fitted pads made from 3-layer Arti-Lage and EVA mix protect the shoulders. This sandwich construction provides superior stability and fit. 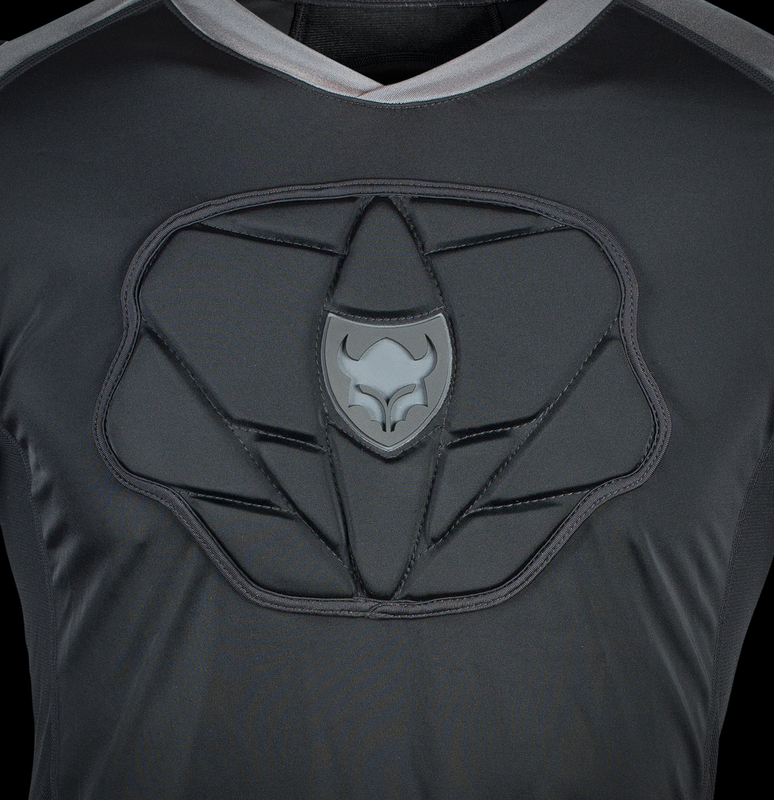 The shirt also features thermo-foamed breast protection and an EVA kidney pad for added safety. 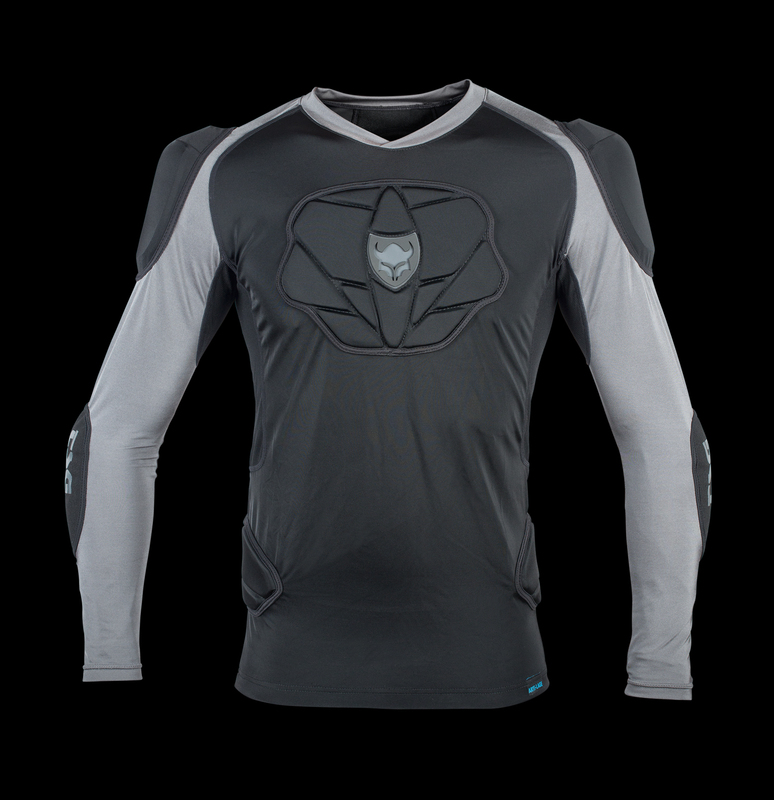 The long-sleeve Protective Shirt L/S Tahoe A also has integrated Arti-Lage elbow pads that provide comfortable, reliable protection. Both shirts are breathable and feature under-arm ventilation to keep a rider fresh on hot days. 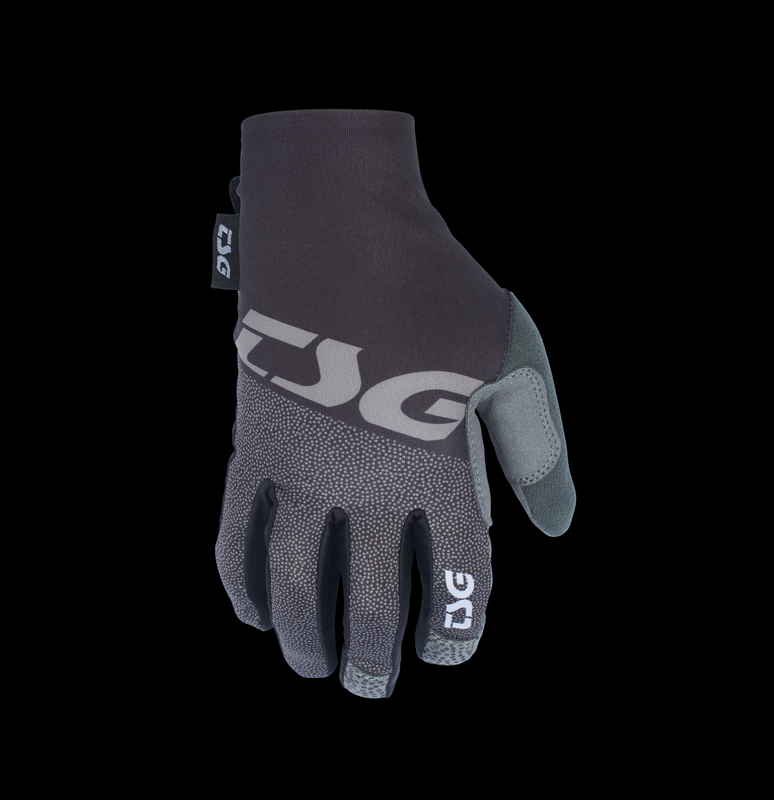 We developed a new mountain bike glove in collaboration with TSG team rider Matt Jones. Matt loves gloves that look simple, are super comfortable and provide a secure grip. 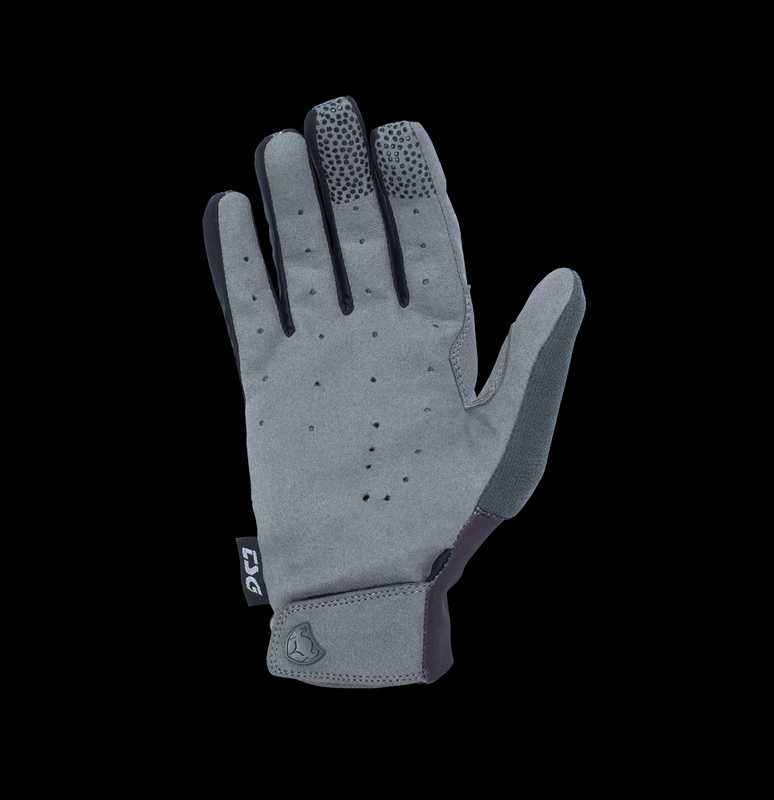 We opted for a vented 4-way stretch Lycra construction, with soft, durable synthetic suede on the palms. The one-layer grip zone is fitted, perforated and seamless, providing excellent comfort and great sensitivity for superior bike control. We applied a silicone print to the brake fingers for positive torque, which works even when wet. Strategically placed reinforcement at the base of the thumb and on the tips of the middle finger and forefinger add durability in these zones of extreme wear. A Velcro wrist strap guarantees a secure fit. From city streets and trails to single track the Mate Glove is a rider’s best friend.